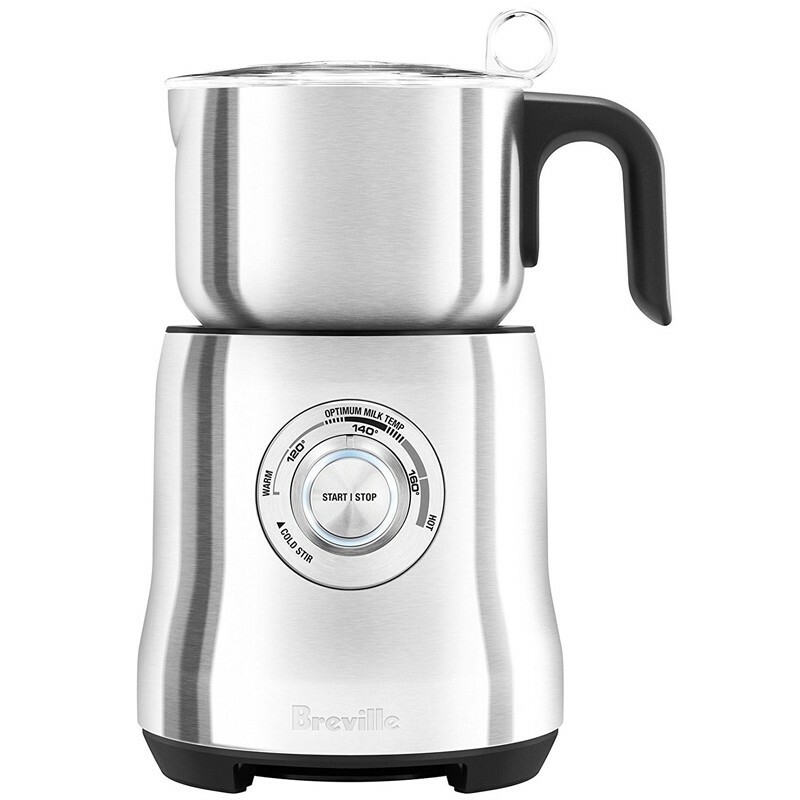 This electric milk frother uses the outstanding induction heating technology that is very efficient when it comes to distributing heat evenly over the heating unit. Its temperatures can be adjusted by a very wide range which ensures you have a variety of temperatures by which you can have your drinks served. You can use it to serve up to three people at the same time since it comes in a very large capacity. You'll also love it that it comes with two different discs that you can use interchangeably to make a cappuccino or latte. It is very durable since it is made of a stainless steel exterior; however, it takes up a lot of space which cannot be ideal for you if you have limited kitchen counter space to work with. You can easily monitor its contents even when the lid is covered since it is transparent. You will have an easy time cleaning it since it is dishwasher safe. It is very durable since it is made of a stainless steel exterior. 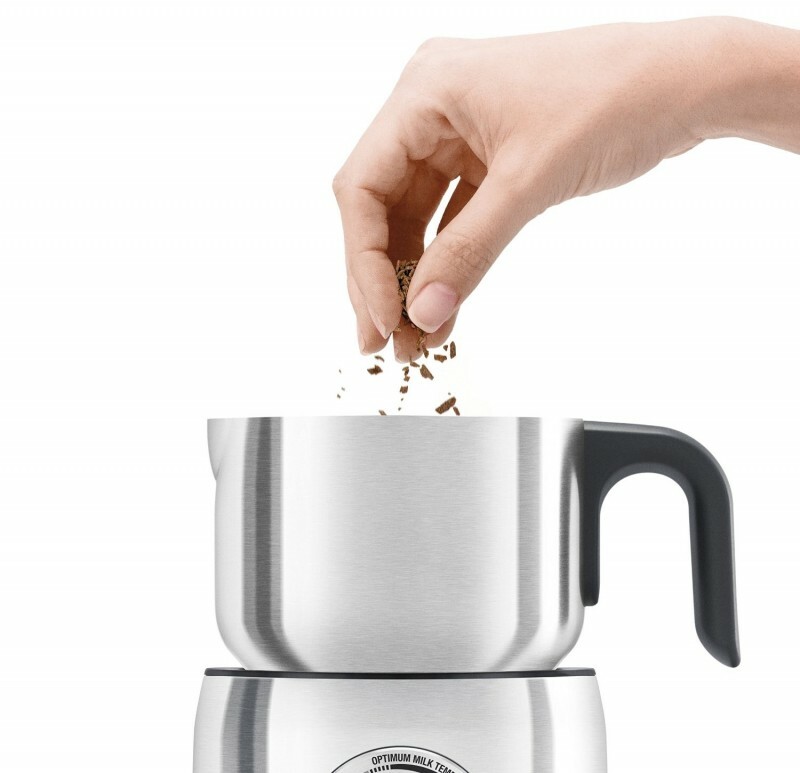 You will love it that its interior is non-stick which ensures that it does not leave a mess after you're done with it. It uses induction technology for heating which has the capacity to evenly distribute heat for consistent results. You are safe while using it since it shuts off automatically once your desired settings are achieved. 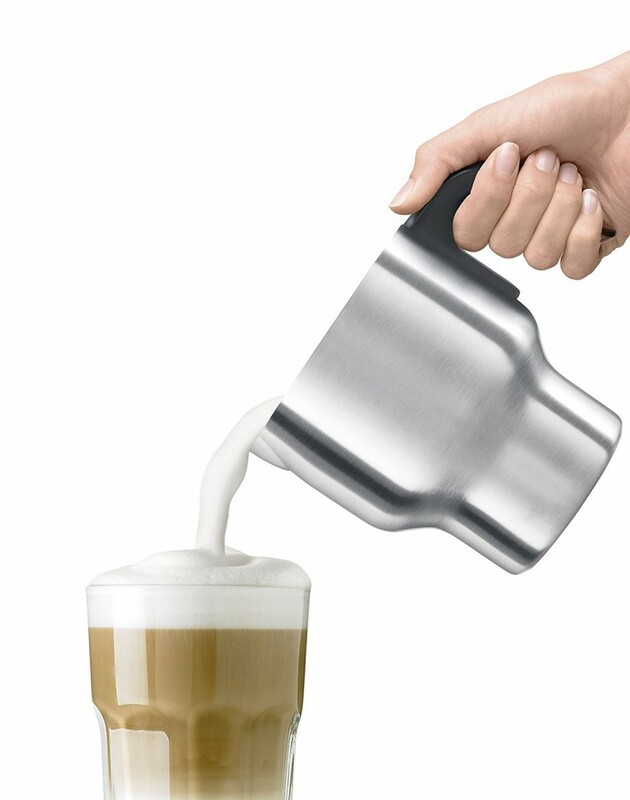 It has an onboard magnetic storage that you can use to keep its cappuccino discs and latte discs. You can adjust its temperatures by over a wide range to ensure you meet your needs perfectly. It takes up a lot of kitchen counter space thanks to its large dimensions. If you are used to using small volumes of milk to make your cappuccinos and lattes then it won't work for you since it requires a minimum of one cup full of milk to function.